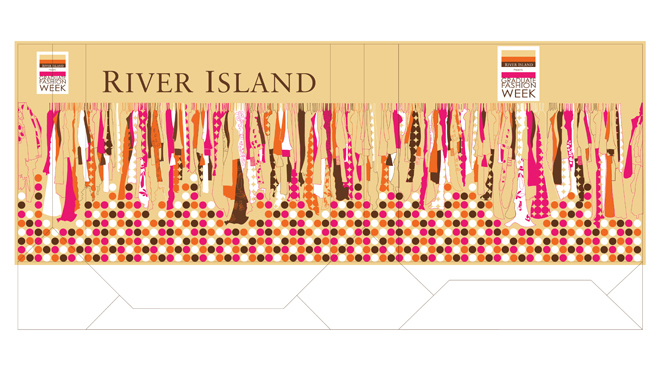 Winner artwork from Graduate Fashion Week 2006, River Island Carrier Bag Design Contest. 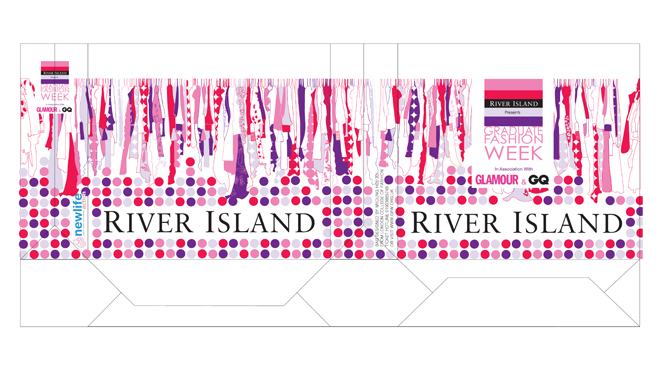 River Island presented this event and they held design competition for celebrating this fashion week. 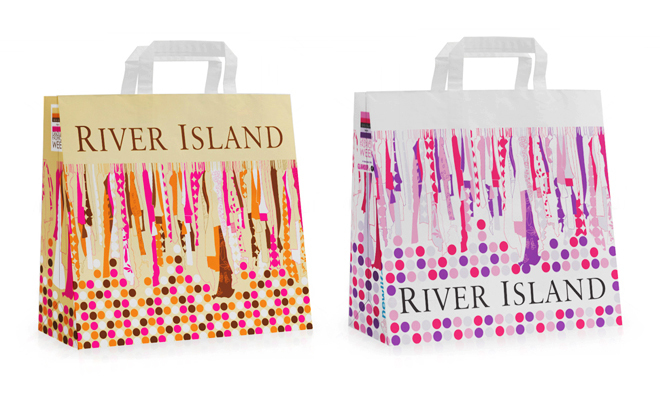 Ladies wardrobe inspired the original design, as the paper bag is used for carrying new clothes to their wardrobe. The illustration of hanging clothes with many prints and surrounded by dot print represents the excitement of having new things for their wardrobe.